Our expert business recruitment service covers the following areas of recruitment; PA, Administration and Secretarial, Finance and Accountancy, HR and Payroll, Sales and Marketing and IT. We work with a huge range of schools, academies, colleges & training providers in Cumbria, giving us an impressive portfolio of education candidates available for short & long term work. We advertise and shortlist education apprenticeship applicants providing Schools and Nurseries with a shortlist of suitable applicants to meet your vacancy requirements. I am happy to recommend System People as an agency. In our experience working with them they have always responded very quickly to all enquiries and have always been thoroughly professional in all respects. They have managed to provide us with quality candidates for a wide range of vacancies – both temporary and permanent. Lyndsey has been brilliant at helping us build our business. 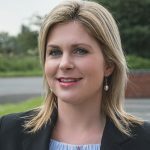 She’s consistently made the right judgements in filtering process so we know that when candidates are put forward they will have the right credentials to join add value to the team… and – were any proof of that needed – looking around the office now half of our team were introduced to us by Lyndsey.